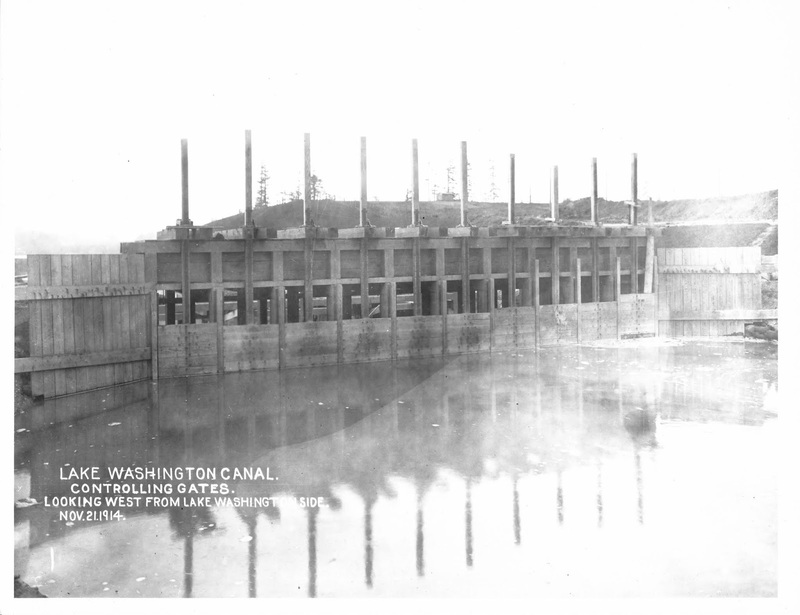 While the locks went into operation in July 1916 much work still needed to be done to complete the planned Lake Washington Ship Canal. But first- a celebration. On August 3 the community gathered at the large lock to watch the snag boat Swinomish followed by the survey vessel Orcas, enter the large lock from Salmon Bay to be lowered to Puget Sound, then turn around and return to Salmon Bay. Newspapers recorded the crowd cheering as the boats passed and speeches commemorating the event were given. Col. J.B. Cavanaugh, who oversaw construction, and Judges Roger Greene and Thomas Burke, both long time advocates of the ship canal, were praised for their comments. It would still be awhile before the dam in Fremont was removed and a channel dredged so vessels could enter Lake Union. Meanwhile, the Montlake cut was still under construction between Lakes Union and Washington. 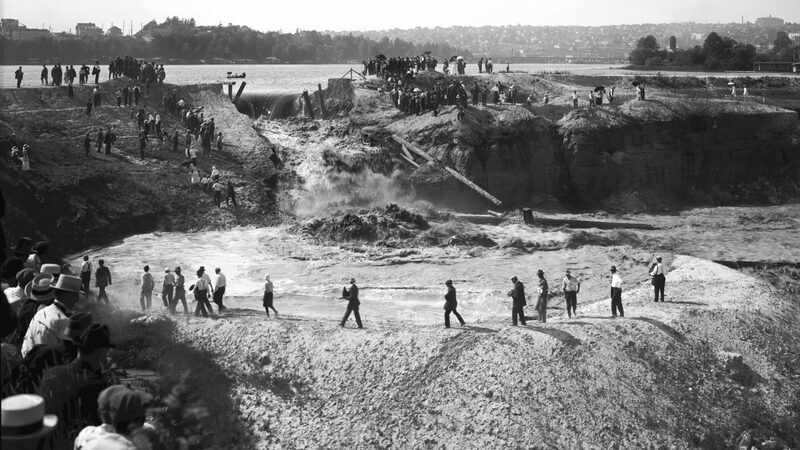 Then on August 25 the engineers ordered the removal of the cofferdam holding back the water of Lake Union. As workers with shovels began to dig, the first small trickle increased dramatically and nearby onlookers scrambled for higher ground. It took about an hour for the cut to fill, completing another portion of the ship canal. The last, critical step of the project was the lowering of Lake Washington. 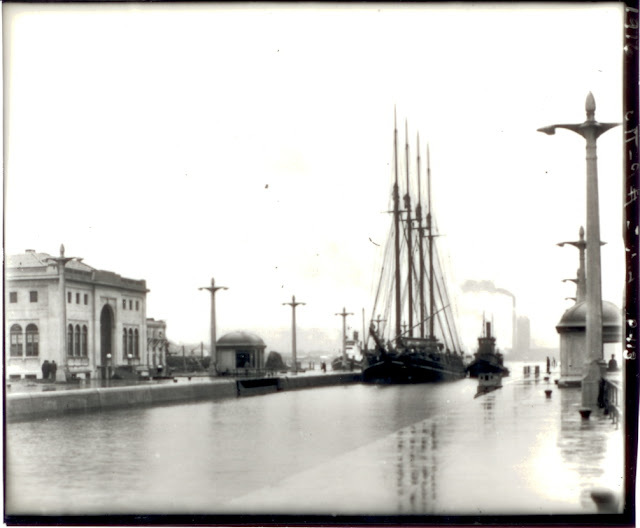 So far, the locks and dam have been built, the water of Salmon Bay has been raised from sea level to the level of Lake Union and a channel has been cut from Lake Union up to Lake Washington, but Lake Washington has not yet been connected, it is still about 10 feet higher than Lake Union, held back by a wooden dam. 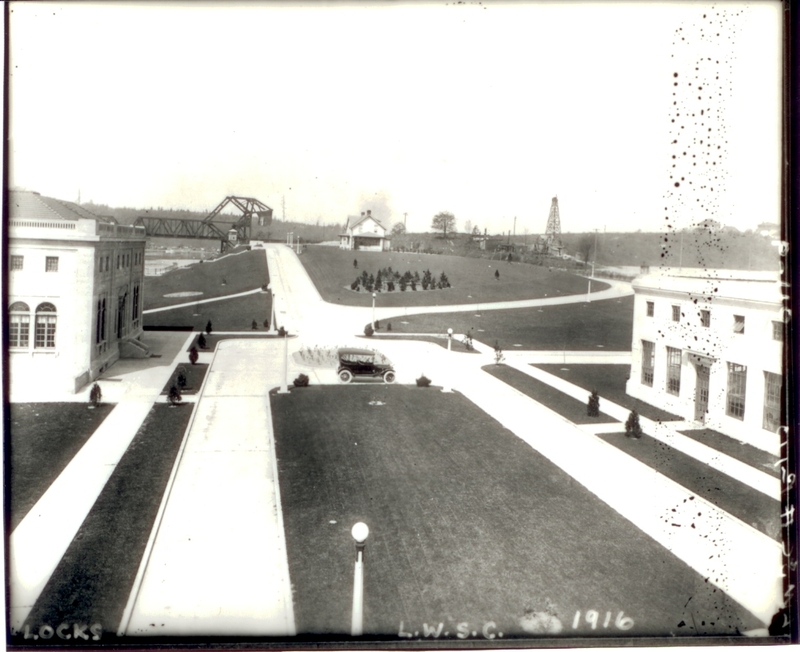 On August 28 the gates of the dam were opened slightly to begin releasing water into the Montlake cut, it then took several months for the lake to slowly draw down to the level of Lake Union. By late October the water of the lakes and canals were at level but dredging still needed to be done at both ends of the Montlake cut to create a channel for larger boats to pass through. By the end of August 1916, 1,558 vessels had passed through the locks, including 666 tugboat passages, 140 fishing boat passages, and 190 barge passages. Passenger vessels went through 152 times, sightseeing through the locks on the excursion boat Sioux was a popular outing. 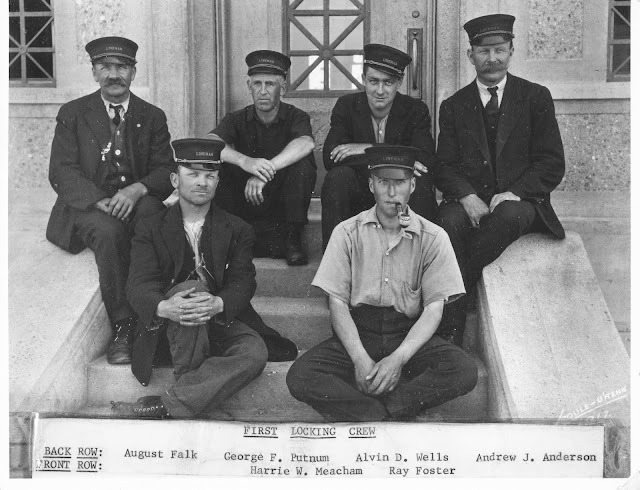 Records are still kept today, the lock wall operators tally the small lock and the lock master in the control tower records traffic in the large lock. 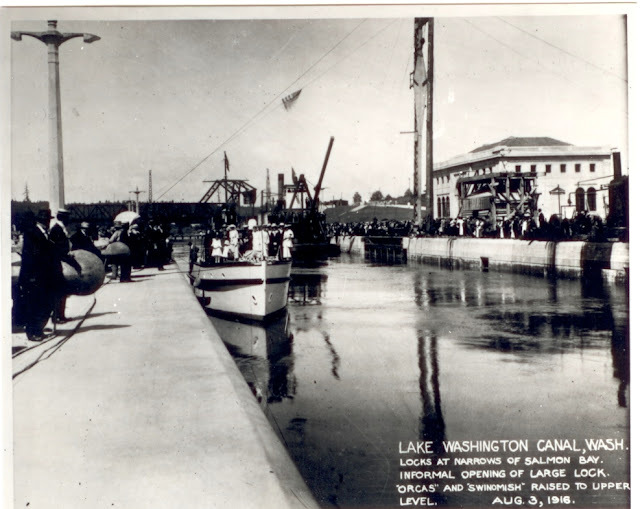 The completion of the Lake Washington Ship Canal altered the course of history for Seattle, opening up the fresh water lakes allowed commerce to expand away from the downtown core and expand the city eastward. Today it is not only an important part of the Seattle economy but a major tourist destination. All photos are used courtesy of the US Army Corps of Engineers except where noted.